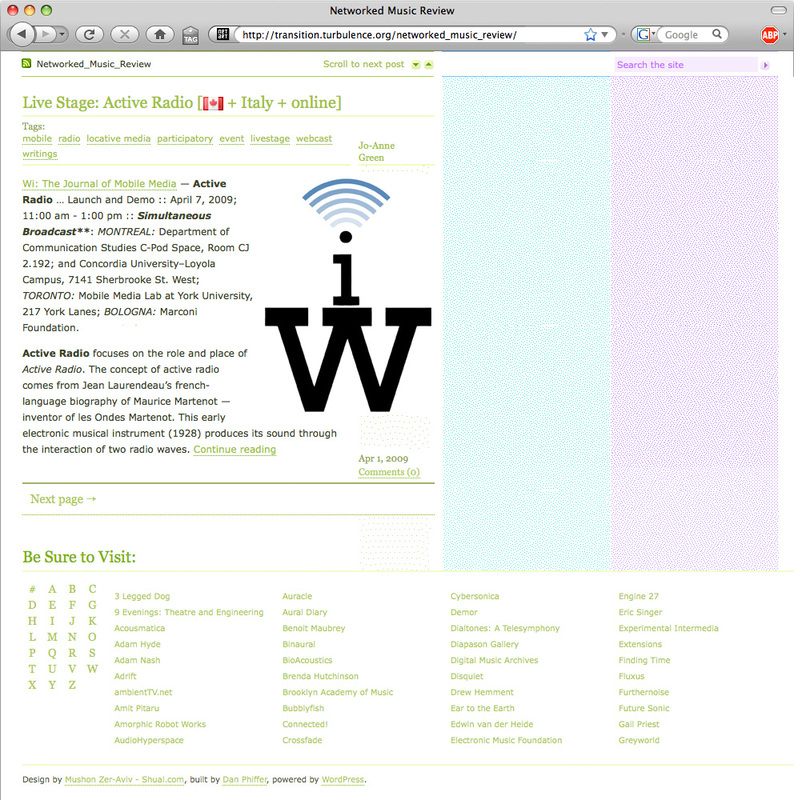 Music Blog design for Turbulence.org a non-for-profit organization supporting new media art. The blog hosts interviews with musicians and sound artists, features a live stage section alerting upcoming global events, an extensive tagging system each with its own respective rss feed, a quick navigation header and a dynamic link directory as a footer. 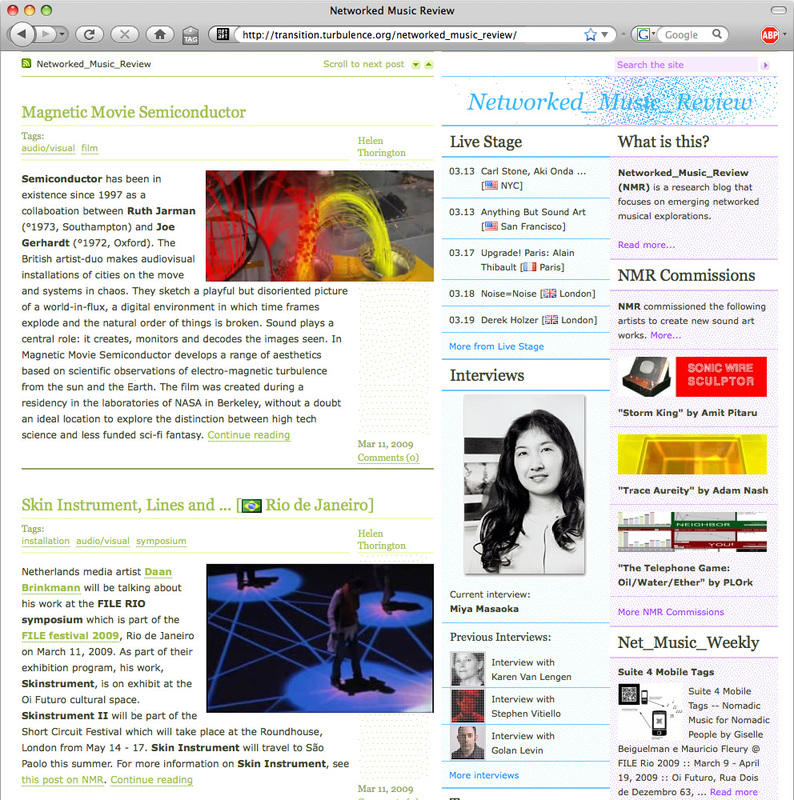 Networked Performance, another blog for Turbulence was designed as a sister blog to this one.